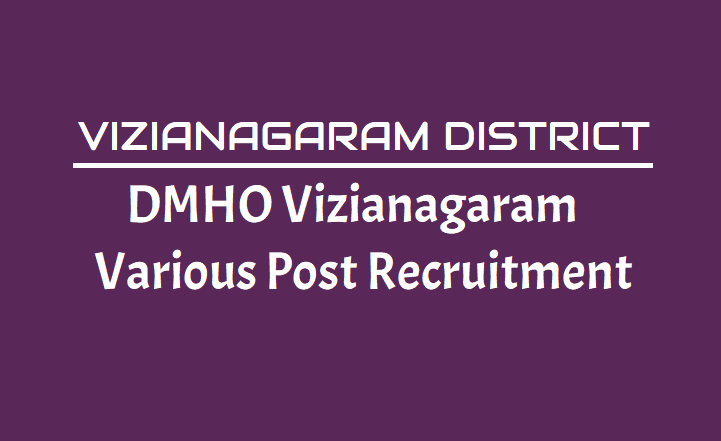 DMHO Vizianagaram Various Posts Recruitment 2018: DMHO Vizianagaram Staff Nurses,Doctors and other posts Recruitment 2018 - DMHO, Vizianagaram has given the Staff Nurses, Physician/ Consultant, Specialists, Cardiologist & Other Posts Recruitment and Last date to apply is 22.12.2018. Office of the District Medical & Health Officer, Vizianagaram invites applications for the following posts on contract basis for one year. Applications are invited for the following posts of NCD, at office of the District Medical & Health Officer, Vizianagaram on contract basis for one year. Last date for submission of filled in BIO-DATA in application with Xerox copies of certificates including essential qualification, marks lists to the District Medical & Health Office, Vizianagaram on before 22.12.2018, 04:00 PM. The applications received in the prescribed form, with in the time shall only be considered and the District Medical & Health Office, Vizianagaram will not be responsible for postal loss or transit delays. Qualification: MBBS, MD, DM, Inter CA/ Inter ICWA/ M.Com or MBA, GNM, BPT, Inter with Science, Diploma. 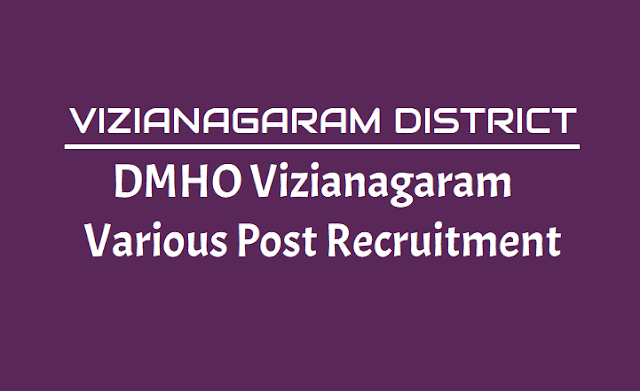 DMHO Vizianagaram has issued Staff Nurses, Pharmacist Gr-II, Lab Technician Gr-II recruitment notification and applications are invited from eligible candidates for recruitment of Staff Nurses (6 Posts), Pharmacist Gr-II (2 posts), Lab Technician Gr-II (2 posts) on contract basis to work in the PHCs newly sanctioned under 13th Finance Commission. Applications to be submitted to the Dist. Medical & Health Officer, District Hospital Premises, Vizianagaram. The last date for receiving applications is 04.09.2016 by 5.00 P.M. Application form and other details can be obtained at http://vizianagaram.nic.in// (Web Site). SSC, Inter, GNM, B.Sc, DMLT, D.Pharm/ B.Pharm/ M.Pharm. 1 marks per year subject to a maximum of 10 marks. How to Apply: Applications to be submitted in person or through registered post to the Dist. Medical & Health Officer, District Hospital Premises, Vizianagaram.